This " Yellow Teak" (Haldina Cordifolia) comes from managed forests that are selectively cared for and monitored. This is a fairly straight grained wood that is yellow and darkens to a brownish yellow with age. It has a lustrous surface when finished and goes by several local names like Haldu in India. 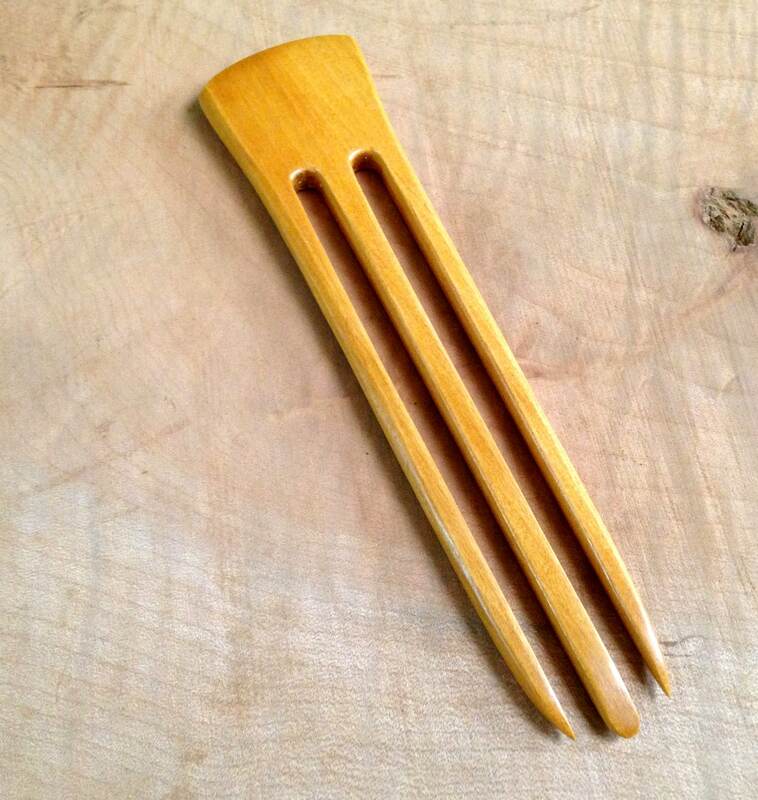 You get One 6" 3-Prong "Yellow Teak" hair Fork in this sale. 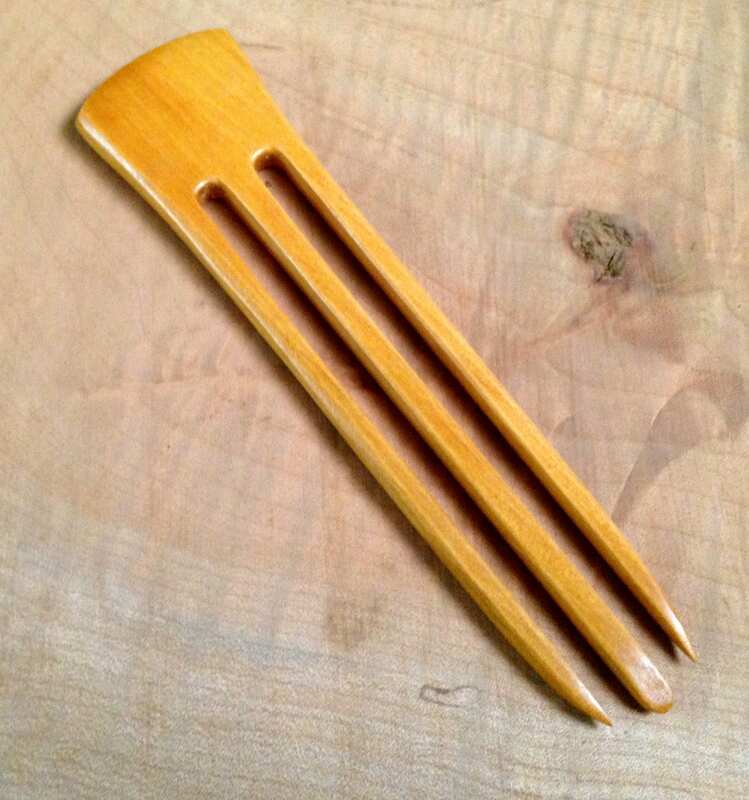 The Hair Fork is 6 inches long and is Straight to reach deep into the hair. It is about 1 3/8 inch at its widest point and has a maximum thickness of about 1/4". 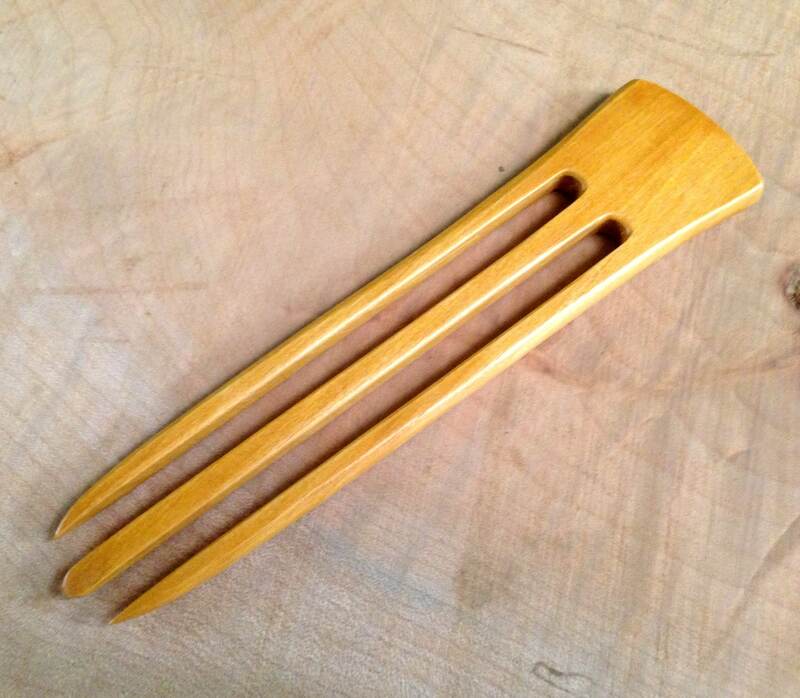 The Strength of the wood in this 3-Prong fork allows the user to be able to control a large volume of Hair.. 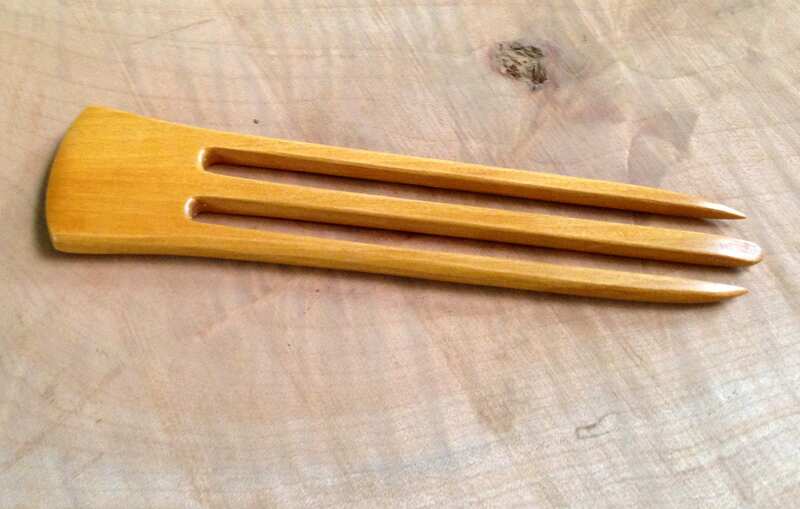 I've been told that it is simple to use and does a good job of holding hair . 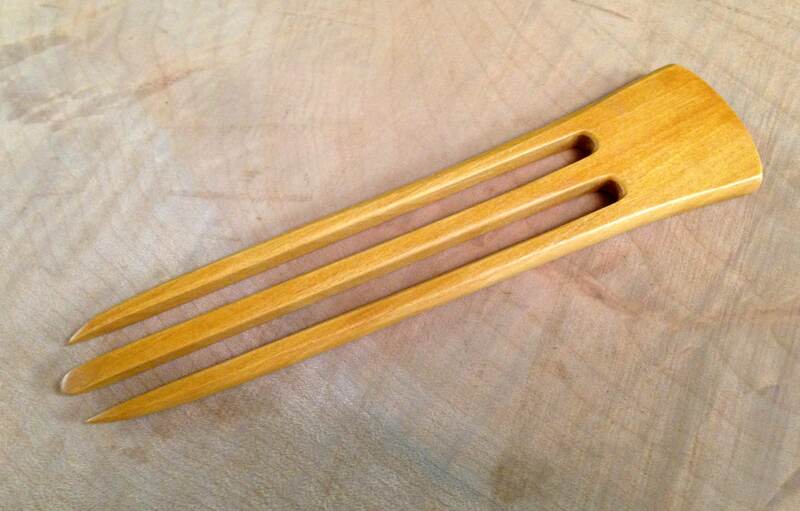 The Functional Prong Length (FPL) is 4.5" for this Hair Fork and varies within 1/4" from piece to piece. 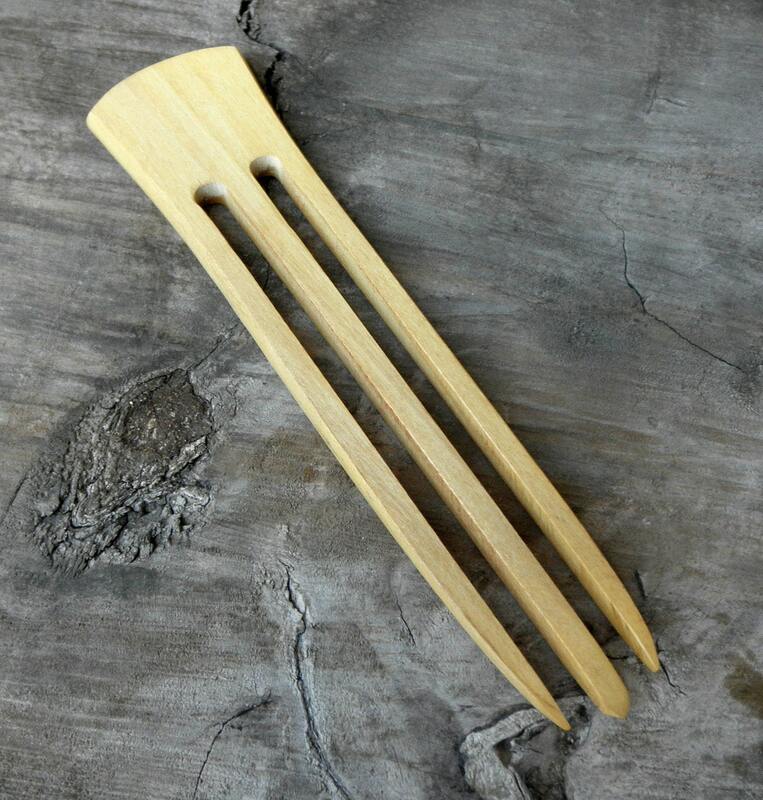 I classify this Hair Stick as more functional than "Decorative" in that the intent of this Three Prong Fork is to help hold your hair together with a straight forward product with not a lot of "Bling". This is another of the workhorses in my stable.